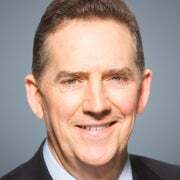 Heritage Foundation President Jim DeMint rose from modest South Carolina roots and a career in marketing to build and lead a resurgent conservative movement. Send an email to Jim. No matter which party wins on Election Day, Americans are going to have to deal with a few zombies. That’s what I like to call the politically “undead” senators and representatives who lose their seats in November, but get to shuffle around the halls of Congress (and keep voting) for a month before Christmas break closes out the legislative year. They’re especially dangerous during a lame-duck session of Congress. That’s when our elected representatives—zombies included—gather to vote on legislation after the election but before the new Congress begins. As you might imagine, this can lead to some problems. Legislators who lose their seats in November, but vote on major bills in a lame duck, have little incentive to please their constituents, and a bit more incentive to please Wall Street and K Street. Ex-congressmen need jobs too—and they often get them on those particular thoroughfares. Even legislators who hold onto their seats know that a lame duck is the perfect time to sneak through massive, big-government spending bills when most Americans have happily turned to family and football after election season. For decades, Congress has intentionally delayed controversial legislation until it can be passed under the cover of a lame-duck session. 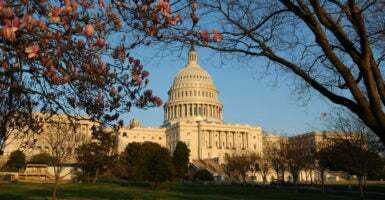 Members of Congress who would usually object to these shenanigans are often dissuaded because leadership warns of dire consequences should these big, “must-pass” bills not go through at the end of the year. And believe me, speaking from personal experience, it’s no fun being the guy keeping everyone at work in the Capitol building over Christmas vacation. Congress first began using lame-duck sessions to legislate when it ran out of time during its regular session, or to address emergencies. But increasingly, members have planned on taking up controversial issues during lame-duck sessions in order to avoid explaining their votes to the electorate. In short, a new norm has been created in which congressional leaders view lame-duck sessions as critical to completing the regular work of Congress. This practice undermines the ability of the American people to hold their representatives accountable because it allows members to deliberately postpone unpopular decisions until after their constituents cast their votes. Unfortunately, the ploy has worked. Conservative aides fear a multitude of possibilities ranging from impromptu regulation to an emergency supplemental bill to address the Zika virus. The Obama administration has telegraphed that it intends to use its last lame duck to pass the president’s marquee trade legislation, the Trans-Pacific Partnership. So this isn’t just an academic squabble about parliamentary procedure. The lame duck will have real-world consequences for Americans who believed they made a difference on Election Day. Fortunately, a lame-duck session doesn’t have to happen. No matter who wins on Nov. 8, it’s important that we educate our fellow citizens—and our representatives in Congress—about the damage these sessions do to our representative government and to accountability. The House and Senate have over two months before the election—more than enough time to deal with important bills now, in the full light of day. They don’t need a lame-duck session, and 75 percent of U.S. voters agree that it’s a bad time to consider major legislation. If we remind them of this fact, and promise to hold our elected officials accountable for their choice, we can prevent another “Night of the Living Congress” in 2016.